InstallAware is able to target Microsoft's Universal Windows Platform with all InstallAware editions except Express, beginning with InstallAware X5. APPX Builder: Instantly convert any existing Win32/Win64/.NET application to a Universal Windows Platform application through InstallAware's built-in support for Microsoft's Project Centennial! Simply load any pre-existing InstallAware setup and compile it as an APPX package! 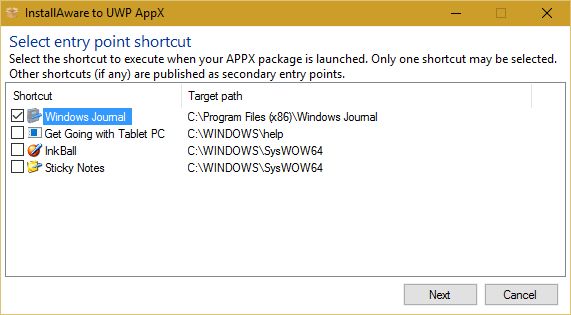 Choose from advanced APPX package creation parameters in a single click.